Ok, the latin in the title was completely unnecessary, but perhaps it provokes the question: what am I referring to? It is a common and not altogether inappropriate form of preaching. It is probably occurring in a significant number of sermons every Sunday. It can even be justified biblically. But I’d like to wave a warning flag. 1. He is an example to us, but first and foremost he is Christ to us. Jesus did not come primarily to offer a role model, but to give himself in order to bring us into a relationship with God. In that relationship he is exemplary in lots of ways, but the goal is fellowship, not cloning. 2. Exemplar preaching tends to focus on outward conduct, but the Bible treats us as inside-out creatures. There is a longstanding tradition of pursuing spirituality by an outside-to-in approach. Do the right thing and everything else will follow. The problem is that some longstanding traditions trace their roots right back to a hissing individual in a garden. The Bible points to the inner issues of heart and spirit . . . is the heart transformed by the presence of the life and love of God, the Spirit? If it isn’t, then out of it will spew all forms of ungodliness, including self-righteous pseudo-godliness. 3. 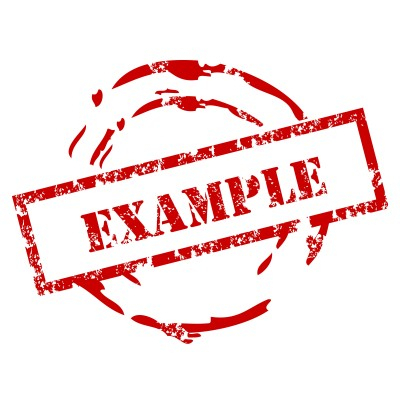 Exemplar preaching points to empowerment, but often an inadequate form of it. Of course, we can only copy Christ by the empowerment of the Spirit. However, the Spirit’s empowerment is often portrayed as a battery recharge for our personal efforts, rather than the very presence of life itself due to our union with Christ by His Spirit. 4. Make application an issue of response, not just an issue of copying. Preach Christ and encourage response to Him. Don’t just preach Christ and then, typically, encourage replication of His behaviours. We go into our mission in this world with Christ, not just copying Him (I am with you always). We approach and worship the Father with Christ. We seek to build up the church with Christ. He certainly is an example to us, but we don’t go into the week with an image of a distant Jesus in our minds. We go into the week in relationship to a present Jesus in our hearts by His Spirit, and that makes all the difference in the world.